Are You Currently Without Limited Liability Protection? It May Be Time to Consider Incorporation. Different Types of Businesses – Suppose you are giving basketball lessons in your driveway for $5 an hour. You don’t file paperwork with the state and don’t share business with anyone else. If a student breaks his leg while attending a lesson, your personal assets are not protected if the student were to take legal action. The same goes for a general partnership. If you and your best friend jointly operate a corner candy store without signing any agreement between you and without filing any documents with the state, your business would be considered a general partnership. If you default on loans for the business, you would be personally responsible for paying the debts. Whether you are set up as a sole proprietorship or a general partnership, you are personally and fully liable for all business debts. Thus, personal property could be taken to pay those debts. So what can you do to protect yourself financially? We’ll cover the different types of businesses and help you decide, which is right for you. Brief descriptions of ways to incorporate your business are featured below. These descriptions also include limited liability protection parameters essential to protecting your personal assets. C Corporations and S Corporations. Both C corporations and S corporations are legal entities that exist separately from their owners. They are sometimes called for-profit or business corporations. A C corporation is simply a standard business corporation. It is called a C corporation because it is taxed under subsection “C” of the IRS code. An S corporation is a C corporation that has made an optional election to be taxed under subsection “S” of the IRS code. Corporations offer business owners (called shareholders or stockholders) limited liability protection. This means that the owners are not held personally liable for the debts and obligations of the company unless they are proven to be personally negligent. The liability of the owners is typically limited to the amount of money they have invested in the corporation. To find out more about S Corp vs C Corp.
A special type of corporation or LLC is reserved for those companies that will engage in a learned profession such as law, medicine, architecture, engineering, etc. They are usually referred to as a Professional Corporation (PC), Professional Association (PA) or Professional Limited Liability Company (PLLC). In many states, only one profession can be offered in a professional entity. The liability is the same as standard corporations and LLCs. A limited partnership (LP) is a partnership owned by two classes of partners: general partners and limited partners. General partners manage the enterprise and are personally liable for its debts. Limited partners contribute capital and share in the profits but typically do not participate in the management of the enterprise. Another noteworthy distinction between the two classes of partners is that limited partners sustain no personal liability for partnership debts beyond their capital contributions. In an LP, at least one partner must be a general partner with unlimited liability, and at least one partner must be a limited partner whose liability is limited to the amount of his or her investment. Limited partners enjoy liability protection much like the shareholders of a corporation or the members of an LLC. A limited liability partnership is an existing general partnership or limited partnership that elects to have all partners receive limited liability for business debts. It is commonly referred to as an “LLP.” All partners receive limited liability protection. In many states, this liability protection is less than what LLCs or corporations receive. A non-profit corporation is one that is organized for a charitable, civil, religious, social, etc. purpose. It is organized for the “greater good” and not for the purpose of making a profit. These corporations are also referenced as “not-for-profit corporations.” As far as liability is concerned, non-profit corporations offer limited liability protection. You may also want to seek the legal advice of your attorney in making your determining which different types of companies (business entities) is right for you. 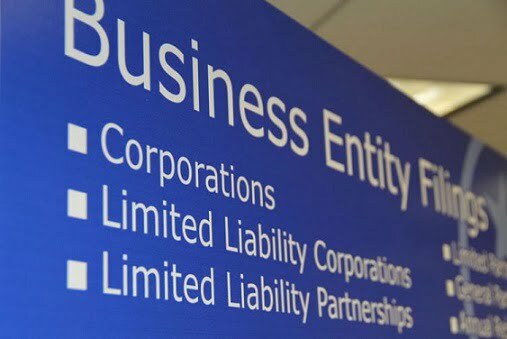 For many business owners, the decision between incorporating your business as a corporation vs LLC (limited liability corporation) may be a difficult one. Developing a laundry list of pros and cons may be helpful in clarifying which incorporation type will best benefit you. Remember that the decision you make may have different ramifications in the future. Is forming a corporation the smart choice for you? For some business owners forming a corporation vs LLC can be the better decision. Corporations are a separate legal entity owned by shareholders. For this reason, shareholders cannot be held personally responsible for the debts of the corporation. Your personal liability is typically limited to the amount you invested in the company. The worst fears of an investor is to risk losing more than he or she invests in the company. This can be a wise choice when trying to minimize your exposure. Another reason you may wish to form a corporation vs LLC, is that your business can have many investors. This will allow you the ability to raise money from the public. Having an LLC can beneficial if you are not going to have many investors. In some cases, the investors are the ones who can get a company up and running and keep it going. If you form an LLC, this is not a viable option. Lastly, if you form a corporation vs LLC your business might be able to bring in new employees by offering stock options. If you form an LLC you would not be able to do this, as they do not have stocks. With an LLC, employees can be offered membership interests. This is not the same as being offered stock in the company and can also be an awkward process to complete. Corporation vs LLC which is right for you? So, if you are thinking about forming your business as a corporation vs LLC, therefore you may want to consider using an incorporation services provider. Using a company that specializes in incorporation services can provide you with peace of mind. Since you know that they are experts in the ins and outs of incorporation. To find out more about the benefits of using an incorporation service provider read How to Incorporate. There are many pros and cons that factor into forming a corporation or limited liability company (LLC). That’s why its important to investigate and research the laws and policies relative to your specific business goals and business type to fully maximize the benefits of incorporating. Here are some criteria to keep in mind when learning more about incorporating your business. We’ll also cover how to incorporate your business. “How to incorporate your business?” The protocol of incorporation is usually the same incorporation process across the states. Businesses providing professional services. If providing a licensed, professional service, consider forming a professional corporation or a limited liability partnership. It is advisable to contact your licensing board to determine your requirements. Professional corporations (PCs) are allowed to be formed as are professional limited liability companies (PLLCs). Initial report and business license requirement. Requires corporations and LLCs to file an Initial List of Officers/Directors and Business License on or before the last day of the month following incorporation. Federal tax identification number (EIN). Corporations and LLCs that have employees are required to have a Federal tax identification number (EIN). Additionally, an EIN may be required to open a business bank account. State tax identification number. To do business in the states, a state tax identification number is necessary. State S corporation election. Recognize the federal S corporation election. Business purpose. Allows corporations and LLCs to be formed for any lawful business activity. There is no need to state the corporate purpose in the Articles of Organization or the Articles of Incorporation. Stock. Corporations can purchase, sell, hold and even transfer shares of their own company stock. However, corporations are required to list authorized shares and par value in the Articles of Incorporation. An increase in the number of shares or par value can affect initial filing fees. Registered agent. Corporations and LLCs must list the name and address of a registered agent with a physical address (no post office boxes). The registered agent must be available during regularly scheduled business hours to accept important legal and tax documents for the business. Many entrepreneurs and small business owners enjoy the benefits of having their companies incorporated. Just keep in mind that consulting with an attorney or accountant helps clarify if these benefits will work for your business type and goals. Learn more about the Different Types of Businesses. Both C corporations and S corporations are legal entities that exist separately from their owners. They are sometimes called for-profit or business corporations. A C corporation is simply a standard business corporation. The reason it’s named “C Corporation” is because it is taxed under subsection “C” of the IRS code. An S corporation is a C corporation that has made an optimal election to be taxed under subsection “S” of the IRS Code. This article will help you better understand a S Corp vs C Corp. Read on to learn more about the advantages and disadvantages of both types of corporations. 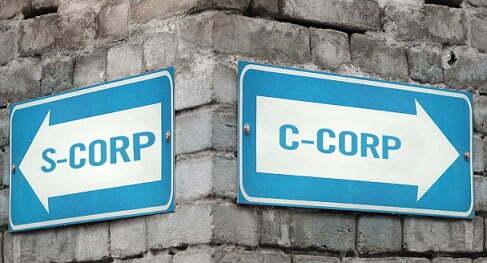 The C corporation is the most common business structure. A corporation is a separate legal entity owned by its shareholders. As a result, it protects its owners from personal liability and corporate debts and obligations. A corporation’s directors, officers and shareholders must witness particular formalities in a corporation’s administration and operation. For example, decisions regarding a corporation’s management must often be made by formal vote and must be recorded in the corporate minutes. Meetings of directors and its shareholders must be properly noticed and must meet quorum requirements. Finally, corporations must meet annual reporting requirements in their state of incorporation and in states where they do significant business. As with any business entity that offers liability protection to its owners, a corporation must be created at the state level. A corporation begins its life by filing articles of incorporation (sometimes called a certificate of incorporation) in the appropriate state and paying the necessary filing fee. Typically shareholders are not personally responsible for the debts and liabilities of the business. Corporations have unlimited life extending beyond the illness or death of the owners. Certain business expenses may be tax-deductible. C corporations may incur double taxation. C Corporations face ongoing state-imposed filing requirements and fees. 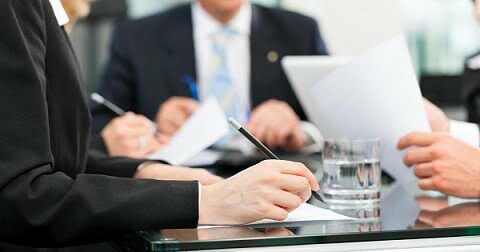 All C Corporations face ongoing corporate formalities, such as holding and properly documenting annual meetings of directors and shareholders. An S corporation is standard corporation after filling for a S corporation status with the Internal Revenue Services. The S corporation’s tax election adopts pass-through taxation – thereby sidestepping the double taxation burden borne by C corporations. Much like a partnership an S corporation files an informational tax return, but the entity pays no tax. The shareholders report their share of the S Corporation’s profit or loss on their individual tax returns. S corporations are not taxed at the entity level – profits pass through to owners. Shareholders are typically not personally responsible for the debts and liabilities of business. S corporations have unlimited life extending beyond the illness or death of owners. The IRS imposes restrictions on S corporation shareholders. This requires there to be less than 100 shareholders. The shareholders must be individuals, estates or certain qualified trusts; and cannot be non-resident aliens. S corporations can have only one class of stock (disregarding voting rights). All shareholders must agreement in writing to the S corporation election. S corporations are more expensive to form than sole proprietorships and general partnerships. They also face continuous, state-imposed filing requirements and fees. A few states do require a state-level filing for the entity’s S corporation status to be recognized by the state. S corporations deal with continuous corporate formalities, such as holding and properly documenting annual meetings of shareholders and directors. You should now have a better understand of a S corp vs C corp. When you compare a C corporation vs S corporation there are lots of things to consider. No matter which direction you take when it comes to incorporating your business in you should fully understand all of the legal entities and decide, which one will work best for your business.